JJT series is a high speed flatbed, 1～3 needle, overlock or interlock machine with upper feed mechanism. This machine has oil return mechanism and the DLC coated needle bar, the upper looper shaft. This machine is suitable for sewing multi-layered denim fabric with thick joint. 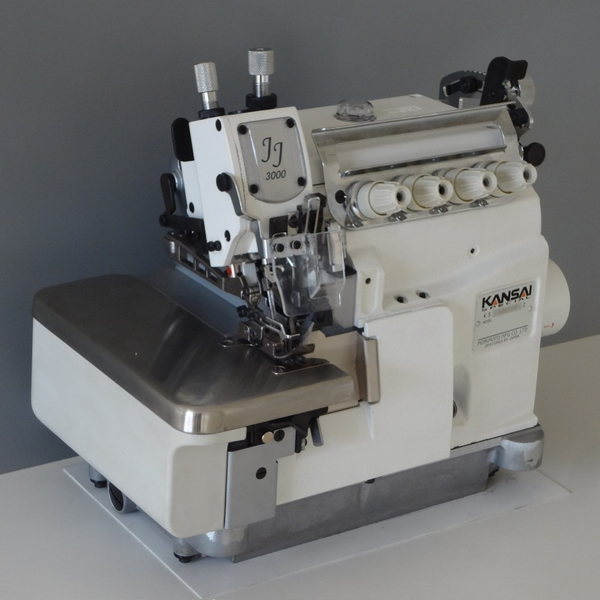 Top feed mechanism ensures uniform quality for wide-range of sewing operations An angled knife is equipped for extra heavy materials.